Heey guys, so today I thought I'd show you how to make a super easy and cheap last minute Christmas Present. 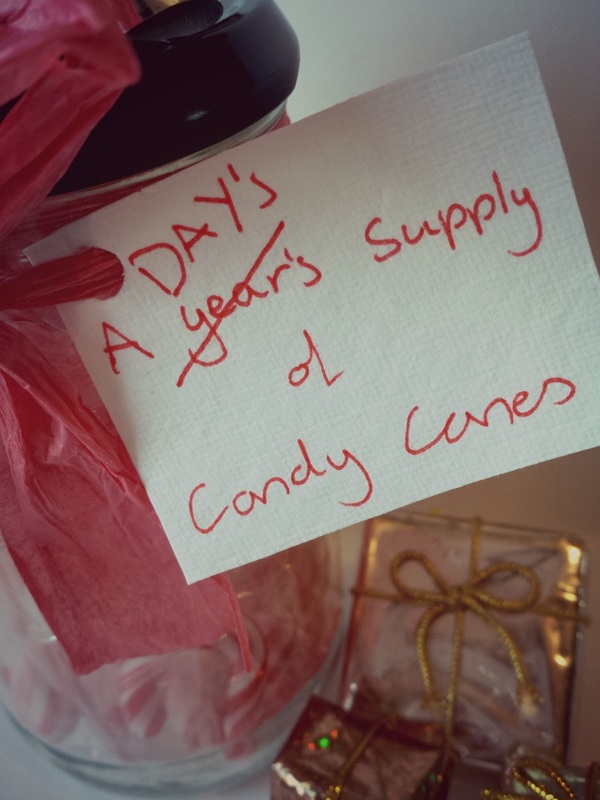 You will need no craft ability to make this gift, although having neater handwriting than mine is probably good. 1. Get a jar (I used an old beetroot one, but you can pick any you like) and soak it in hot water for 5 minutes to allow the label to fall off. Once the label has come off and the jar is cool, stuff your candy canes into the jar. I bought these Mini Candy Canes from Poundland, and I managed to fit the whole packet in! 2. After this screw the lid onto the jar (make sure it's done up tight). Find a present bow (I used one I got off of a present last year, although you can buy new) and stick it onto the center of the lid. 3. Next find a piece of card or a gift tag and write a message to the recipient. Hole punch the top corner, so that it can be added to the gift. 4. 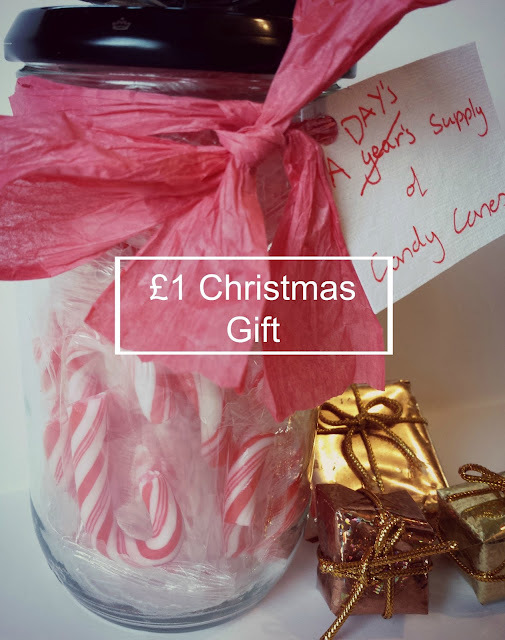 Get your piece of string, ribbon or tissue paper and wrap it around the top of the jar (whilst threading the tag onto it) and tie it in a bow at the front. You can then adjust the tag to wherever it looks best. And that's it! A homemade gift that took less than 10 minutes to make! What a lovely idea! This would be handy if you had a large group of friends and not a very large budget to spend on each of them! 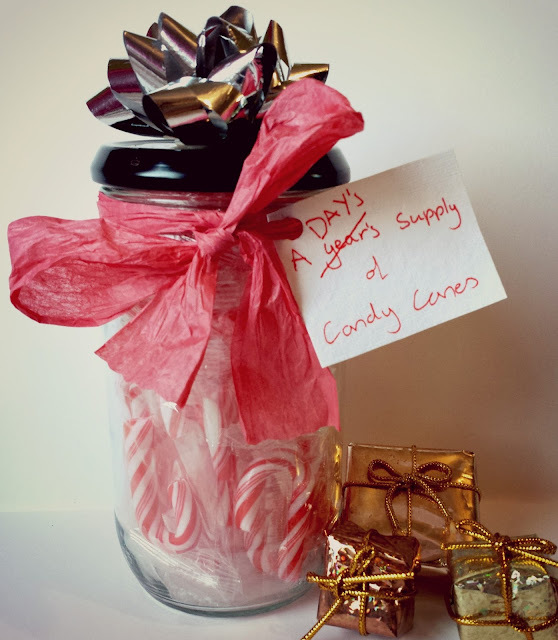 This is a super cute and such a simple idea. Love the label too!